Porsche will replace the engines of all 785 GT3s from the current model year. 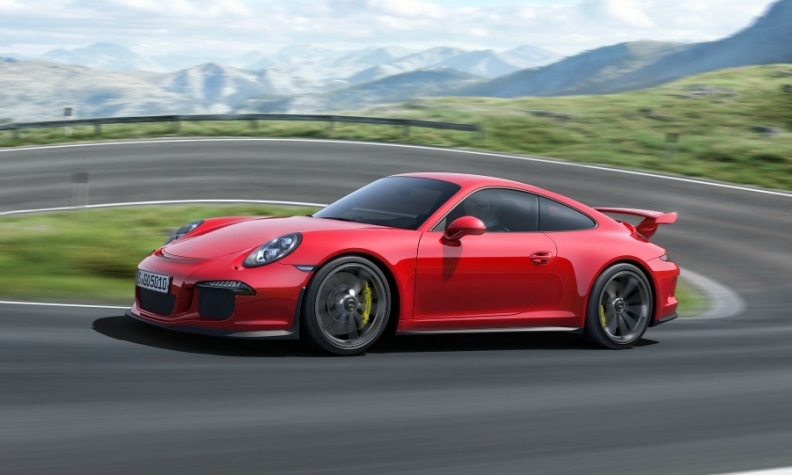 STUTTGART (Bloomberg) -- Porsche said a fastener that wasn't properly installed is to blame for engine fires in the 911 sports car's racing version that led the automaker to take the rare step of telling customers to stop driving the model. "Engine damage resulted from a loosened screw joint on the connecting rod," Porsche said on Wednesday. "The loose connecting rod damaged the crankcase, which in both cases led to leakage of oil which then ignited." The sports car maker sent out details to owners this week and will completely replace the engine of all 785 of the 911 GT3s from the current model year after two vehicles caught fire. No injuries were tied to the incidents with the model, which sells for 137,300 euros. "We're not taking any risks when it comes to the safety of our customers," Porsche CEO Matthias Mueller said on the sidelines of a company event on Tuesday. "We're acting fast and decisively to fix this." Porsche is offering customers cars such as the 911 Turbo while their vehicles are repaired, Mueller said. "To replace the whole engine is quite a drastic measure," said Stefan Bratzel, director of the Center of Automotive Management at the University of Applied Sciences in Bergisch Gladbach, Germany. "It shows Porsche is very keen to solve this as fast as possible to allay concerns and keep any disgruntled customers." Porsche recalled 100,000 Cayenne SUVs in 2012 to fix a defect with parts holding in the front headlights, and offered fixes for various models in 2011 and 2010 to tackle seat-belt flaws. The recall of the GT3, which has a 475hp engine that accelerates to 100 kilometers (62 miles) per hour in 3.5 seconds and has a maximum speed of 315 kph, is relatively small because it is for one specific model variant with limited production.